Expert Quality, special air hardened chrome vanadium steel for long life. 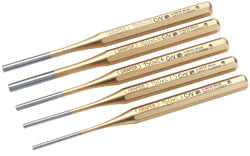 The tips are accurately ground, with specially tempered head. Display packed. Contents: Tip diameters of 3.0, 3.5, 4.0, 5.0 and 6.0mm.